One of the main issues of foreigners travelling to Iran is to book hotels. Due to the international sanctions and economic pressure imposed on the Iranian people, for foreigners, it’s difficult if not impossible to book Iranian services online with our credit or any bank card. Until now. 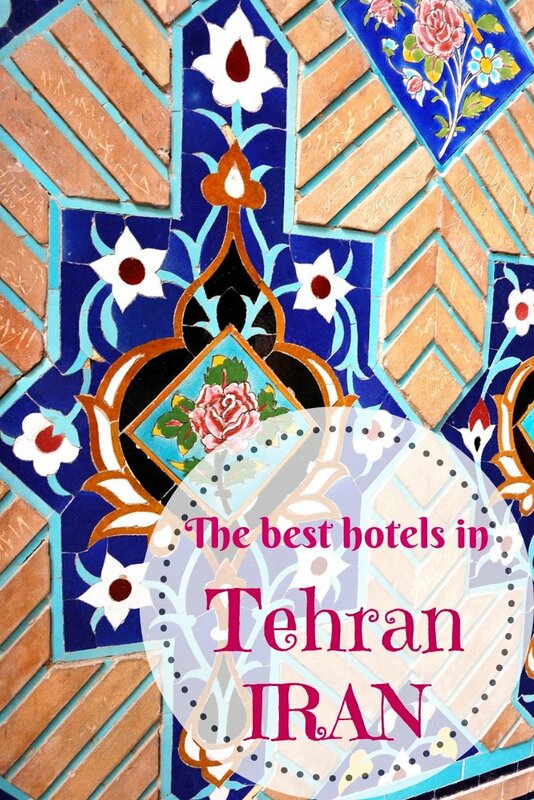 Here, I will be sharing with you a guide to the best Tehran hotels that you can actually book online before travelling. If you’ve been reading my blog for a while, you will have already come across 1stQuest, the Iranian travel agency I recommend for visa services and domestic transport. Finally, they activated the hotel services, so now you can book the hotels in many Iranian cities from 1stQuest website. This way, you can arrive at the airport with a written hotel reservation, necessary if you want to do the visa at the border in Tehran. Iran, including the capital, is in need to improve their hotel services, so often travellers don’t feel fully satisfied. Here, we try to pick some of the best Tehran accommodation options. Without further ado, let’s dive in the top Iran hotels offer. In our guide to the top Tehran hotels, we provide you with a large selection to meet everyone’s needs and budgets. You will have luxury 5-star Tehran hotels as well as budget accommodations. Located in the Saadat Abad northern district, Espinas Palace is one of the best 5-star hotels in Tehran. Finely decorated rooms in an elegant traditional style and modern facilities offer guests a relaxing stay. All rooms and suites are equipped with flat-screen TV with international channels, internet connection, private bathroom with shower and bathtub, minibar and fridge, safe, complimentary tea and coffee facilities. Some suites have a separate living room, a work desk, a Jacuzzi and the Sky Suite fitness equipment such as a treadmill and a massage bed alongside a Jacuzzi located on an indoor terrace with a mountain view and a large balcony. The hotel offers several dining options, such as traditional Persian, international and modern Iranian, and a fusion restaurant. For a relaxing evening, you can enjoy one of their the spa treatments. Or to start your day with energy, you can use the fitness centre that includes treadmill, cardio workout machines, and bodybuilding equipment, as well as sauna, steam room and Jacuzzi. ⇒ Click here for more info and to check the price. Espinas Khalij Fars is also a popular five-star hotel in central Tehran, close to the busy Valiasr Street. Their rooms and suites are luxurious, spacious and feature air-conditioning/heating system, coffee and tea-making facilities, free Wifi and a bathroom with shower and Western toilet (don’t take this too much for granted in Iran!). Other room facilities include a flat-screen TV with international channels, a safe, a desk, a minibar (included in the fare) and two complimentary water bottles. The room rates change depending on the season and the room, but a double is usually around 130 euro per night. A pretty good deal for a five-star hotel in Tehran city centre. Breakfast is included in the price and so is the parking. This luxury accommodation in central Tehran features also a modern fitness centre, a swimming pool, a coffee bar and two restaurants, one serving Mediterranean cuisine and one traditional Persian dishes (which I recommend because why would you eat Mediterranean if you are in Iran?). Tehran is a truly hectic city, and while I always suggest spending a couple of days there, you will also need to unwind in the evening. Espinas Hotel is perfect to round off a busy day in relax. Laleh Hotel is another five-star accommodation in Tehran located close to the lovely Laleh Park. Their rooms and suites, decorated in a slightly old style, are spacious and include Wifi, a bathroom with shower and Western toilet, international electric plugins and phone. 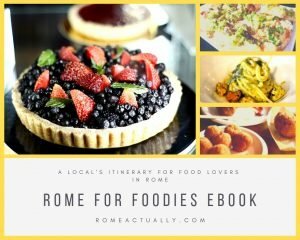 The average price ranges around 100 euro per night, depending on the season and the room, and the breakfast is included. The hotel features Italian, French and Iranian restaurants as well as a gym, a swimming pool, a wellness centre with sauna, a coffee shop, a billiard hall and a shopping area at the entrance. It’s well-connected with the public transport. Formerly Hyatt, Parsian Azadi Hotel is one of the best hotels in Tehran. Its list of past guests includes Kofi Annan, Ban-Ki Moon, Catherine Ashton and Xavier Solana. Located not far from the Sa’adabat Complex built during Qajar era and used as royal palace also by the Pahlavis, Parsian Azadi Hotel is in a nice district not far from Milad Tower and Tajrish Bazaar but most places are reachable by taxi. Taxis are not expensive in Iran, but make sure you ask your hotel to call it for you and you have the price already set. The spacious rooms are well-fit with modern amenities such as flat-screen TV with satellite channels, WIFI, air-conditioning/heating, fridge and minibar, tea-making facilities, a desk and a private bathroom complete with shower and hair dryer. This luxury hotel in Tehran features also several dining options and a wellness centre with indoor swimming pool, massage room, traditional bath and fitness centre. ⇒ Click here to check the price and book. Novotel is a modern 5-star hotel near Tehran’s Imam Khomeini International Airport. Its world-class services and amenities, make it one of the best hotels in Tehran. All rooms, decorated in a modern minimalist style, feature air-conditioning, tea and coffee-making facilities, minibar, complimentary mineral water, safe, writing desk, WIFI, TV and a private bathroom with shower, bathtub and hair dryer. The hotel has also two restaurants, one serving Iranian dishes with a modern twist and one proposing international cuisine. For a more casual and quick meal, guests can enjoy the snack and large selection of drinks of the hotel’s Lounge and Lobby Lounge. To relax, you can either use their tennis court if you like to play or their wellness centre with sauna, Jacuzzi and massage or fitness area that includes a swimming pool. Ibis is also a 5-star hotel close to Tehran international airport, located right in front of the main terminal. Staying close to the airport has its benefits. Apart from being well-connected with the city, this is also an ideal accommodation if you are in Tehran for only one night before catching a flight to another Iranian city. This is a new hotel in Tehran, so better equipped with modern facilities and all types of amenities of a luxury accommodation. All rooms feature LCD flat-screen TV, WIFI, minibar, electronic key, a private bathroom with shower and hair dryer, and a desk. A rich all-you-can-eat breakfast is included in the room fare. Ibis has a restaurant serving Persian and international dishes, and guests have also access to the fitness center and swimming pool of the adjoining Novotel Hotel, also managed by AccorHotels Group. Located in northern Tehran, Homa Hotel is one of the favourite 5-star Tehran hotels. Formerly Sheraton Hotel, it’s well-connected with the public transport via buses and the metro not far. They offer double/twin and single rooms as well as suites. They all feature air-conditioning/heating system, free WIFI, private bathroom with shower and Western toilet, desk, fridge and an electric kettle. Some rooms have a balcony and several rooms have a view of the Alborz Mountains. The hotel’s amenities include a green area, a traditional restaurant, an indoor swimming pool and a fitness centre. The daily buffet-style breakfast is included in the room price. Formerly Hilton, Esteghlal Hotel in Tehran is one of the most luxurious in the city. Like most five-star hotels in Tehran, this too is located in the northern side. Among the amenities, the hotel offers to its guests are a wellness centre with spa, sauna, Jacuzzi and indoor pool, a gym, a swimming pool, a shopping mall and several dining options with restaurants serving Persian, Turkish and Chinese dishes. On the garden is the tennis court and, close to the outdoor pool, a cosy coffee shop. The rooms and suites feature all the facilities to ensure a comfortable stay, such as TV, minibar, a private bathroom with shower and bathtub, WIFI, safe, private balcony and 24-hour in-room dining service. This is a 4-star hotel in Tehran city centre close to several highlights such as the Jewelry Museum, the Archaeology Museum, the Grand Bazaar and UNESCO-listed Golestan Palace. It’s also conveniently located close to the metro and shopping centres. Its rooms are decorated with Persian carpets and feature minibar, WIFI, 24-hour room service, satellite TV, air-cleaning system and a private bathroom. The hotel features several dining options that include French and Persian food, a fast food and a buffet-style restaurant. Ferdowsi Hotel has also coffee shops, a gym and a conference hall. Modern and recently renovated, Eskan Alvand Hotel in Tehran is located in Alvand Street, near Argentina Square, not far from Milad Tower and well-served by public transport. Guests can enjoy great views of the city and the surrounding Alborz mountain chain. The rooms and suites have a minimalist décor and are comfortable and well-furnished. The facilities include TV with local and international channels, electric kettle, WIFI, safe, minibar and air-conditioning. The private bathroom features a shower and complimentary courtesy set. The rooms are single, double, twin, double king, family and suites. One of the best hotels in Tehran, here you will have also several dining options including Iranian and international restaurants, a lobby lounge and a bistro serving casual meals such as salads, soups, sandwiches and a range of pastries as well as smoothies, fresh juices, tea and herbal infusions, coffee. The hotel features also a wellness centre with massage, Jacuzzi and sauna. The sauna is free of charge. A good value for money and the excellent position on Valiasr Street, Raamtin Hotel is one of the favourite four-star boutique hotels in Tehran. Whether you are travelling for work or leisure, this is a convenient stay. From the hotel, you can easily access some of the main landmarks, including the Darband hiking route, the metro, several restaurants and coffee shops, especially once you get to the nearby Enghelab Street. The spacious rooms feature a flat-screen TV, a DVD player, WIFI, private bathroom. The Studio Suite includes also a small kitchen, while the Suite Apartment features a family room and a full-size kitchen. The breakfast is buffet style and includes both savoury and sweet options. The guests of this hotel have appreciated the friendly and efficient staff, and the small gym with treadmill, stationary bike, free weights, boxing bag, stepper, and sauna. The hotel has two restaurants, one serving international cuisine and the cafe where you will have your breakfast that also serves Persian and international dishes. ⇒ Click here for info and to check the price. One of the best Tehran hostels and a favourite among travellers is family-run Iran Cozy Hostel. This is a pretty good cheap accommodation option if you are travelling on a budget because breakfast is included, as well as WIFI. The price depends on the season, so in high season prices can be higher. 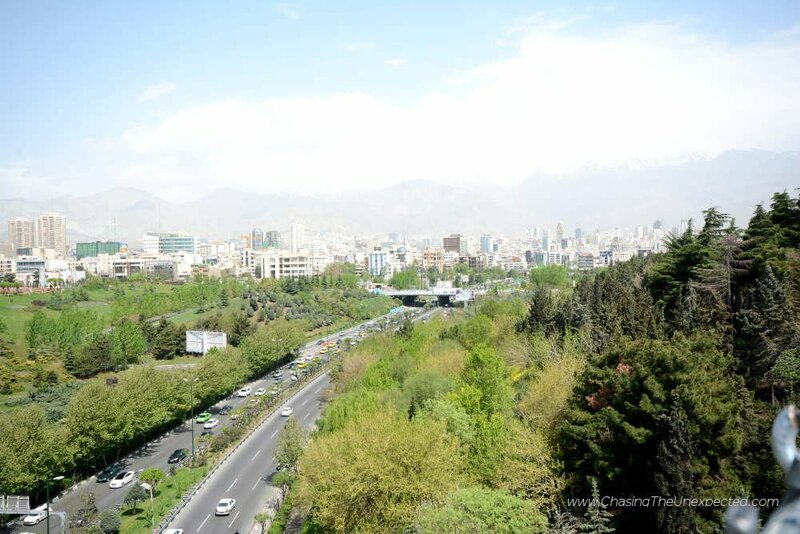 Located in the city centre, from here many of Tehran highlights such as the Grand Bazaar and Golestan Palace are within easy reach, the metro station is 5 minutes walk away and the area has a large selection of restaurants. Rooms have air-conditioning and a small common kitchen with a microwave is available for guests to use. Another favourite among Tehran top hostels for foreign travellers is Tehran Heritage Hostel. This is probably the hostel with more “hostel prices” than others, and guests’ reviews are pretty good. The beds in the dorms are equipped with curtains for a better privacy and they also feature private rooms. The hostel includes also a small kitchen that guests can use, a lobby and a common yard to chill out. Very close to the subway, many of the city’s landmarks are within easy reach. Launched by the organisers of the popular See You In Iran Facebook page after reading about the needs and complaints from travellers from all over the world, this simple and welcoming hostel in Tehran is a safe bet. Created with the spirit of cultural exchange, this is one of the best hostels in Tehran for many reasons. Their rooms are simple yet finely decorated, it features a common garden and a cafe. Some of their dorms feature a small kitchen while the breakfast is included in the fare of all accommodations. They also have private rooms with the capacity of 2 guests each and a kitchen. Most rooms have shared bathroom and shower. It’s a simple accommodation with basic facilities, good for backpackers. Guests have appreciated the friendly and English-speaking staff and the location close to the metro, art galleries and other landmarks. If you are looking for a cheaper accommodation in Tehran, this hostel is one of the favourite among foreign travellers. Located in the city centre, it’s well-served by public transport and many highlights are easy to reach. The nearest metro station is some 10 minutes walk away. The buildings and rooms are refurbished are modern-looking. Rooms are clean and cosy, bathrooms and showers are shared, but there are four of them for a few rooms. There are also common areas and a yard where guests can relax and chat. Staff is friendly and helpful, and they speak English. This is a good choice for backpackers.